Although you could move a few of these players around, or substitute a couple of our honorable mentions into the top 10, these players could never be accused of failing to get the ball where their teams needed it. On the contrary, they’ve often dazzled fans and opponents with how well they get the ball to where it needs to be. This video of the best ball handlers is pretty close to our list! 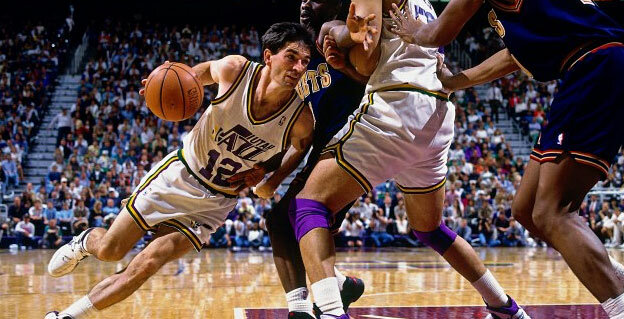 John Stockton’s skills would never be described as flashy by anyone, but the NBA’s all-time assist leader has to be on this list. Not only was Stockton the best the game has ever seen at finding his teammates to set up easy baskets, but he took care of the ball. You can’t average 10.5 assists a game without taking some chances, but Stockton still managed to average less than three turnovers a game. That’s the mark of a man who was almost no flash, but plenty of substance. When you get those kinds of results, it doesn’t matter how little flash there is to your game; you’ve got to get some respect. There’s a reason people immediately got excited about the Los Angeles Clippers when CP3 joined their lineup, and it’s because of how well the guard combines style and substance to devastate opponents. 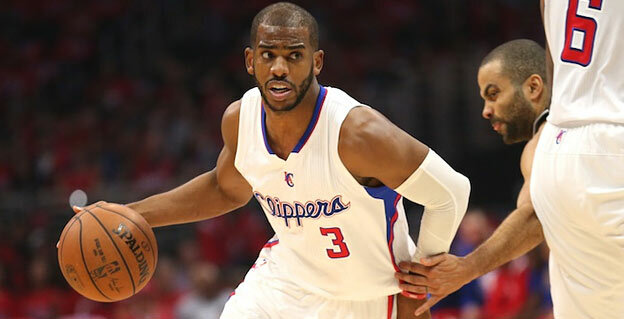 Whether it’s knifing through a defense to create his own shot, or finding a teammate for an easy finish, Chris Paul is one of the most difficult guards to contain if you’re a defender. Much like Stockton, he relies more on substance and intelligence to get the job done, and that deserves a lot of credit. 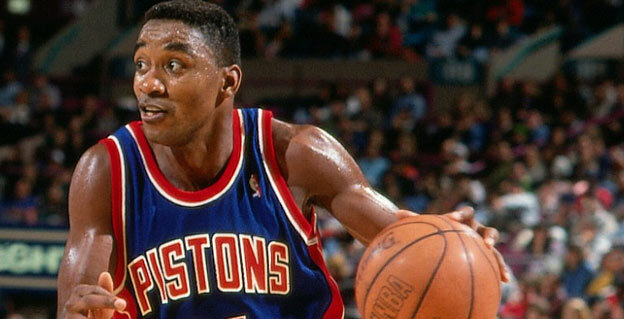 If speed was what you needed, Isiah Thomas was who you wanted in your lineup. The Pistons’ guard was a running and jumping machine who adapted his game to become what Detroit needed him to be when they began to compete for titles. Thomas wasn’t as flashy as his career continued, but that was more of a case of him choosing substance over style to allow the Pistons’ Bad Boys to dominate the league in the late 1980’s. When he was at his best, though, he could really make a defender look foolish with his dribbling skills. At 5-foot-3, the diminutive guard had to be a great ball handler because it was the only way he’d be able to compete with the giants he went up against every night. Compete he did, and he often made them look silly in the process. 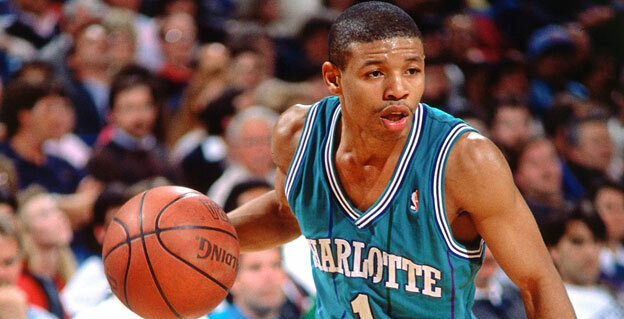 Bogues turned his lack of size into an advantage, as bigger players couldn’t keep up with his dribbling skills or his vision on the court. 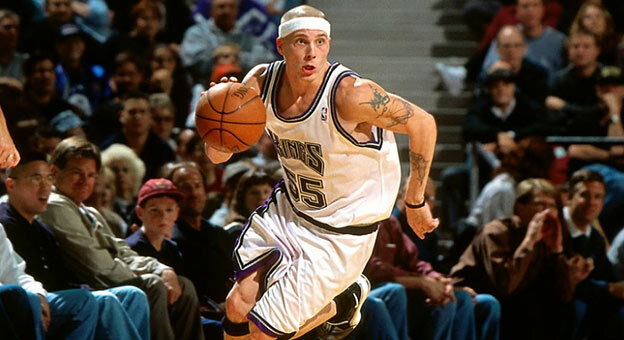 He didn’t rack up assists the way Stockton did, but he really took care of the basketball. Speaking of handling the ball, Bogues is the all-time career leader in assist-to-turnover ratio, boasting a career ratio of slightly over 5. You don’t get to those kinds of numbers without being a great ball handler. 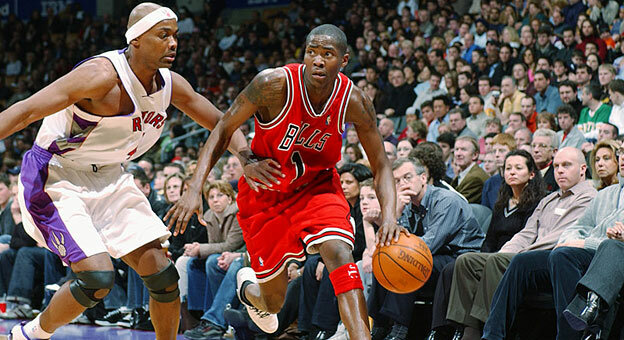 When you play for as many teams as Jamal Crawford has during his NBA career, that’s either a sign that you’re struggling with your skills or that your skills are in high demand. In Crawford’s case, it’s definitely the latter. He’s competed for six different teams because he’s an expert at moving around the court and making defenders look silly with his ball-handling skills. He can stop on a dime and shift between hands before a defender has any idea what’s happened, usually allowing him to create an open look at a 3-pointer. White Chocolate would be higher on this list of the best ball handlers of all time if he wasn’t such a feast-or-famine player. When he was at his best, his “handle” was insane; doing things with the basketball that nobody else could. 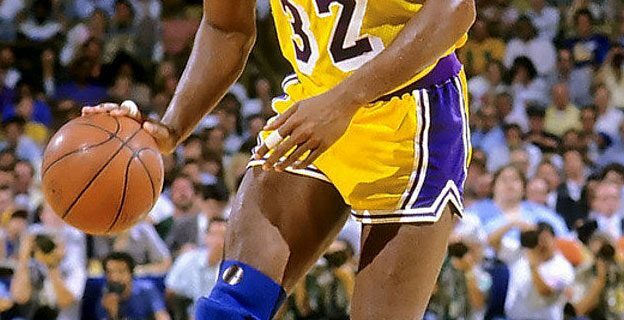 He made passes that were nothing short of ridiculous to set his teammates up for some easy baskets. But too often, he got a little too flashy for his own good and would set up his opponents for some easy baskets by trying to make the spectacular move when a simple one would have done the job. Still, when he was on, nobody was as much of a master with the rock. Take a look at any video or article about top ballhandlers in NBA history, and there’s a good chance that you’re going to see people asking “Where’s Bob Cousy?” in the comments. There’s a good reason: the Celtics’ point guard was a magician on the court, finding teammates with brilliant passes that made the impossible look easy. 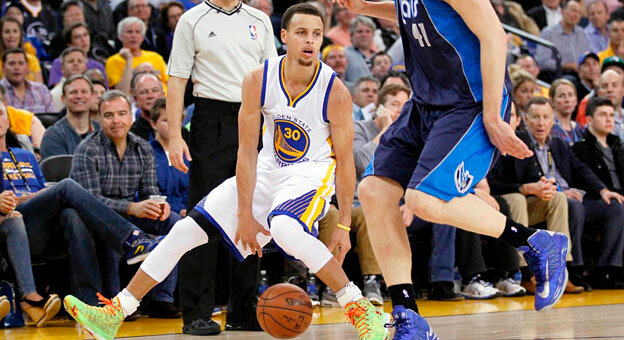 Stephen Curry is perhaps the biggest name in the league besides LeBron James. You know that the ball is coming his way as often as possible. 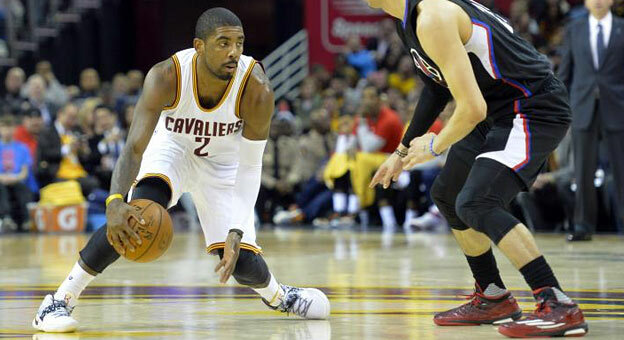 In most cases, teams design their entire defense around slowing him down. And yet they still can’t contain Stephen Curry, in large part because the guard is so good at creating his own shot. Yes, his range is one of the deepest the NBA has ever seen, but he’s also incredible with his ball handling skills; creating that separation that gives him the fraction of a second he needs to get a great look at the basket. Whether he’s starring in his own right or helping LeBron James shine on a nightly basis, Kyrie Irving has a well-warranted spot on this list. Since coming into the league, he’s been the one constant the Cavaliers have always had and has done whatever they’ve asked of him with the ball. Imagine Pistol Pete on a team that had a supporting cast. Instead, Pete Maravich often had to do everything himself because he just didn’t have anyone else who could produce at the level he could. The results were often special, as Maravich regularly posted 40 and 50-point outings despite opposing defenses focusing almost all of their efforts on keeping him under wraps. Without Allen Iverson, the Philadelphia 76ers of the late 1990’s would probably have looked like… the Philadelphia 76ers of 2014-16. 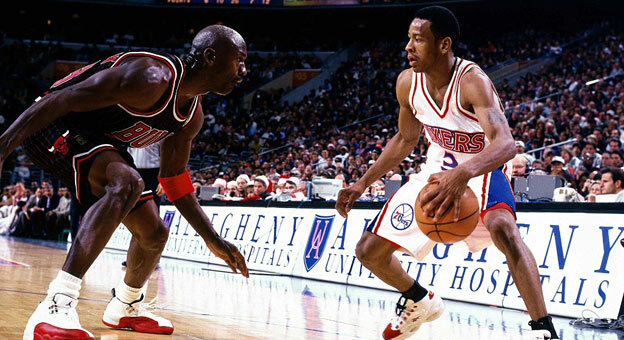 The Answer became one of the best to ever grace the court when it came to creating space. This entry was posted in top 10 lists and tagged Allen Iverson, ball handling, Bob Cousy, Chris Paul, dribbling, Isiah Thomas, Jamal Crawford, Jason Williams, John Stockton, kyrie irving, Muggsy Bogues, Pete Maravich, point guards, Stephen Curry on January 18, 2017 by Dan Angell. 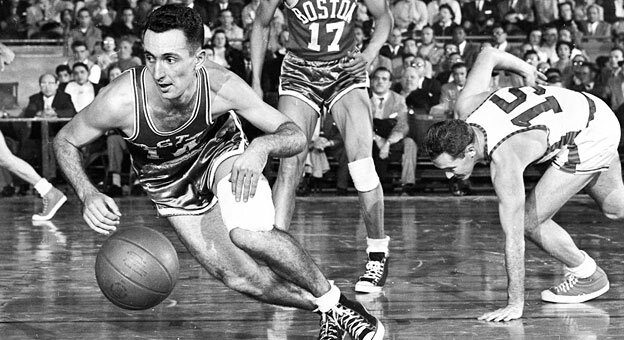 How do you compare Bob Cousy with Stephen Curry? The game has changed and evolved so much. I guess u can say “the best ball handlers of all time” relative to the other talent in the NBA. By the way, I think Steph Curry is top 3 ever. Maybe if Iverson had more dedication he’d deserve to be ranked the best.